SDCC INFO! MLP ART RAFFLE! MLP ANNUAL: EQUESTRIA GIRLS!! SAN DIEGO COMIC CON 2013!! I'll be there all 5 days and nights. Signing, sketching, selling books & prints, paneling a little bit and sigining and sketching some more. My Little Pony Friendship is Magic fans rejoice! Headed to San Diego Comic Con next week and want the chance to get a unique piece of My Little Pony: Friendship Is Magic art? 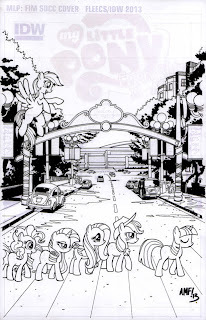 In honor of his Diamond Comics SDCC Exclusive cover for My Little Pony: Friendship Is Magic, MLP artist Tony Fleecs (MLP: Rainbow Dash, MLP: Fluttershy, Lil’Firebreather, In My Lifetime) is giving fans the chance to own the original artwork! Instead of merely selling the piece to the highest bidder, raffle tickets can be purchased at Booth # 2103 for $5 a piece. The winner will be chosen by drawing on Sunday at noon. 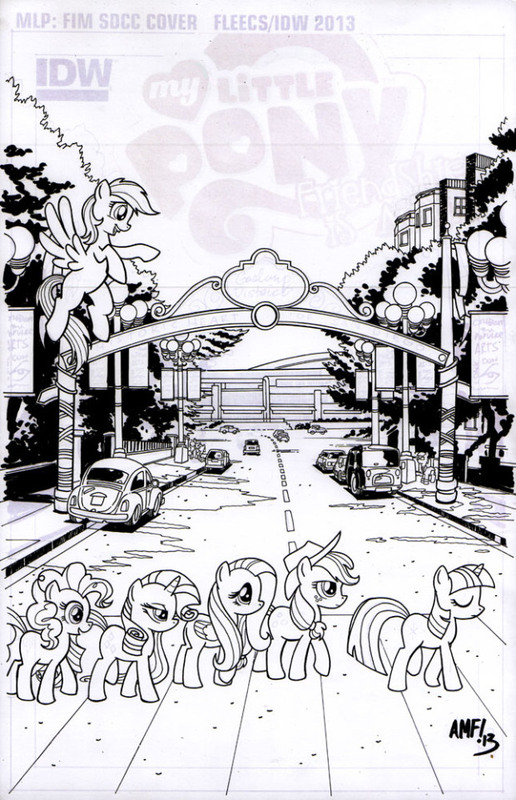 Visit the Diamond Comics official website for more information on the My Little Pony: Friendship is Magic exclusive Abbey Road themed cover limited to 5,000 copies. There you go. So grab your exclusive SDCC/Diamond My Little Pony #9 over at the Diamond booth, come over and have me sigin it and grab a raffle ticket or two for the original cover art-- It's all framed up and ready for you to take home. 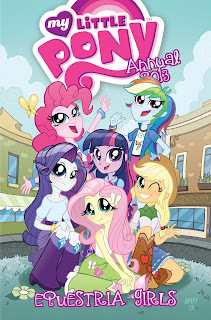 MY LITTLE PONY: Equestria Girls Annual! 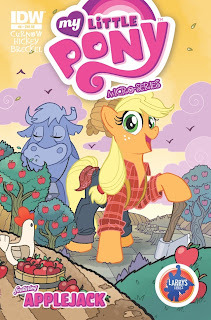 The world of My Little Pony expands in this special oversized Annual. Straight from the new, hit movieEquestria Girls comes all your favorite Ponies like you’ve never seen them before! New Looks, New Friendships, and New Dangers! 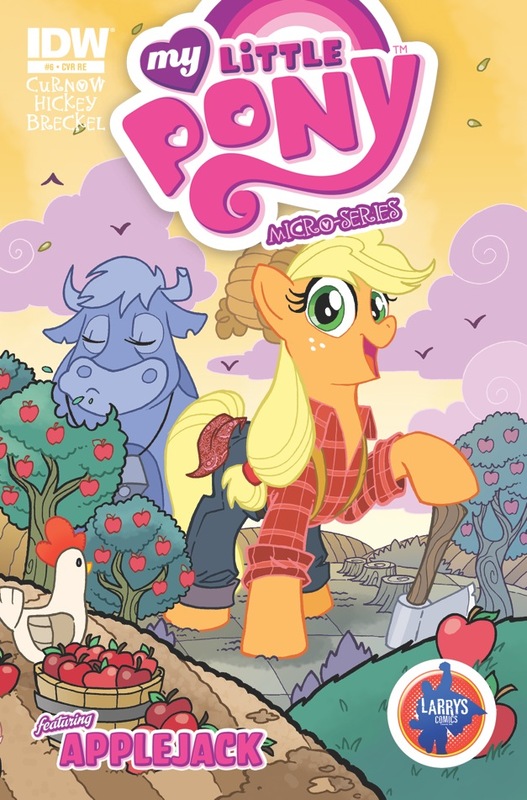 Join IDW in exploring this brand new tale that ties in closer to Canterlot than you may think! Friday at 3pm and Sunday at 1pm! So there you go. ComicCon. I'm already exhausted and the show is still 4 days away. I hope to see a bunch of you out there. If you can't make it, keep up with me on Twitter and hopefuly I'll see you at the next one. Also, I'm banging through a bunch of commissions leftover from all these other shows-- I'll be mailing out a bunch before I leave for San Diego (Sorry for the holdup.) Y'all take care now!